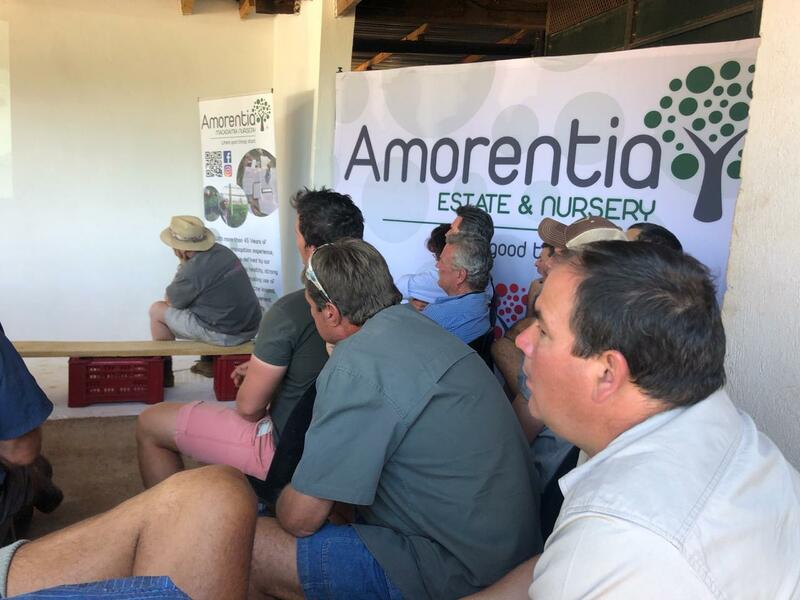 On Tuesday the 11th of September 2018, Amorentia Macadamia Nursery hosted an Orchard Management workshop which was attended by nearly 60 farmers. 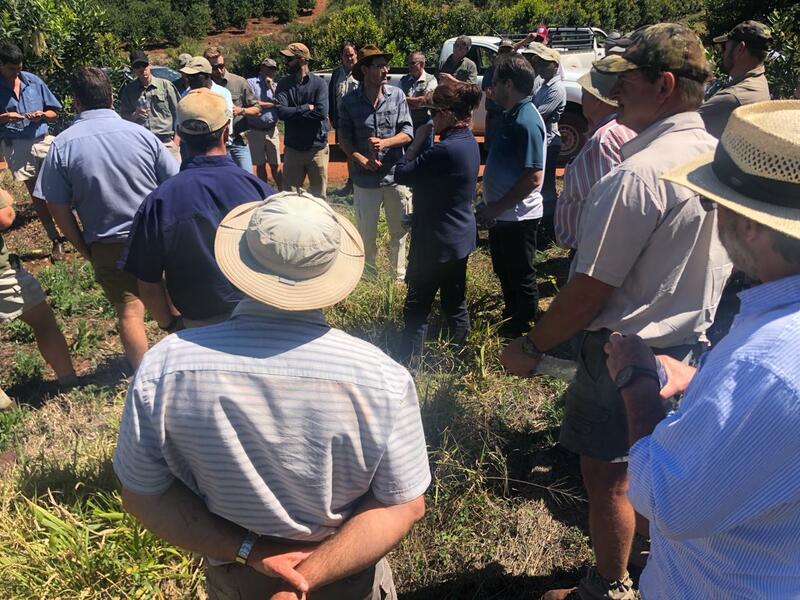 The day kicked off at 9 am with a visit to Chris Dando’s farm. 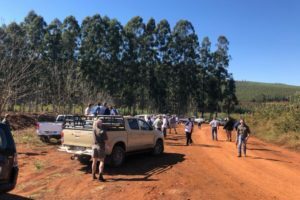 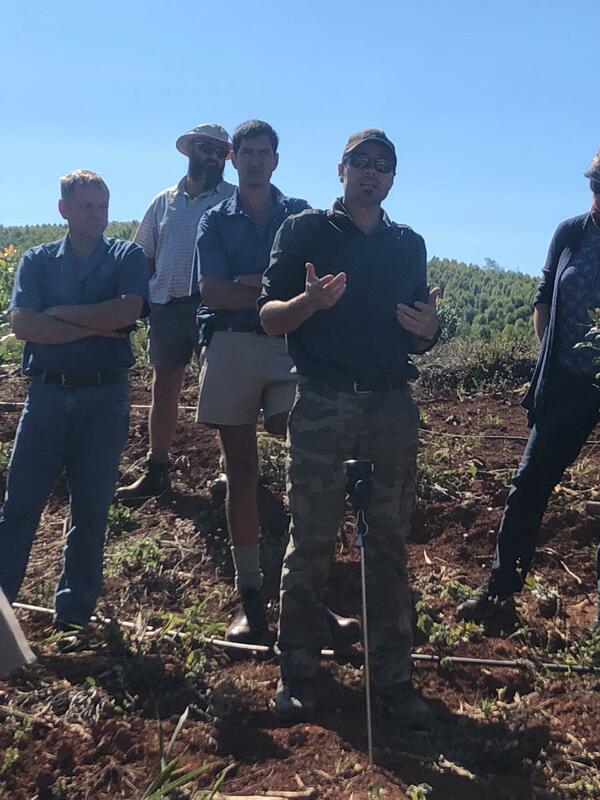 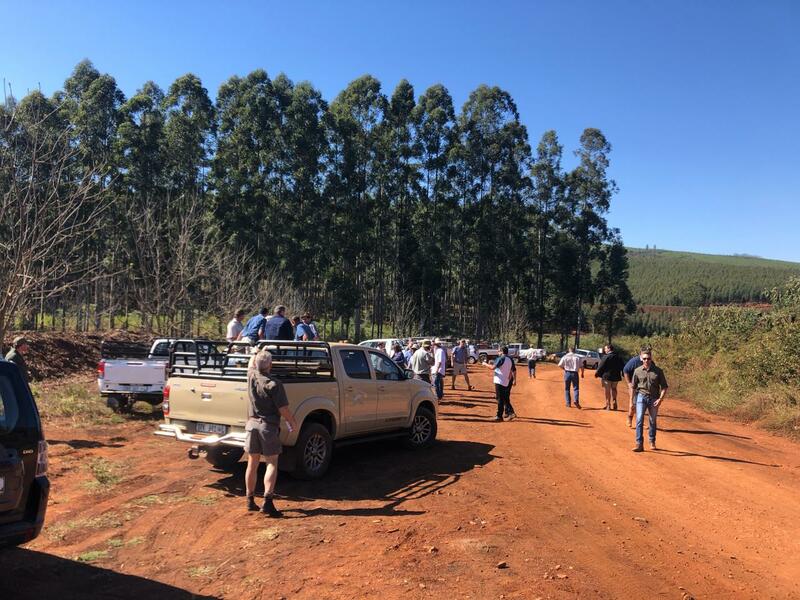 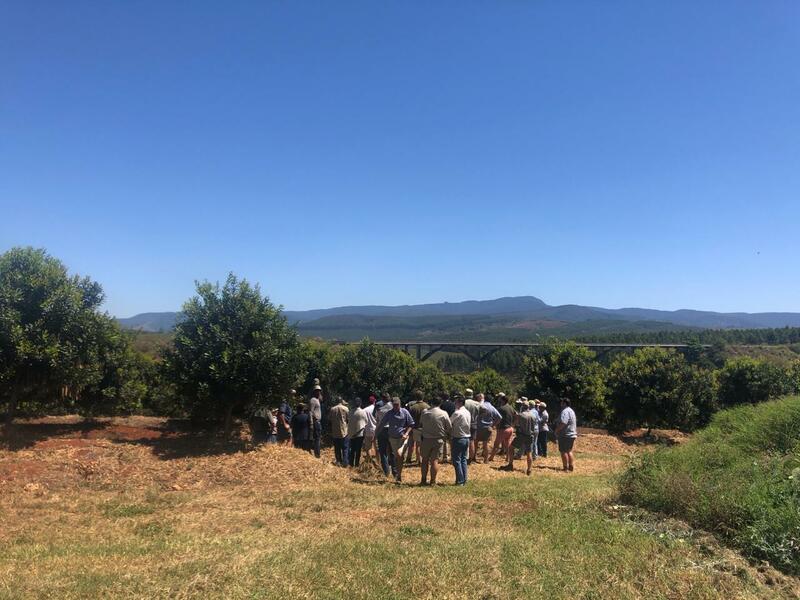 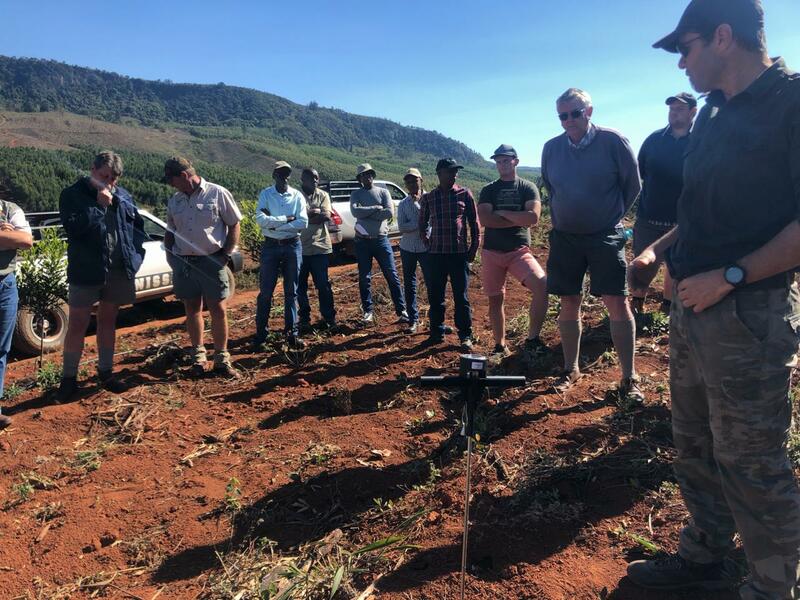 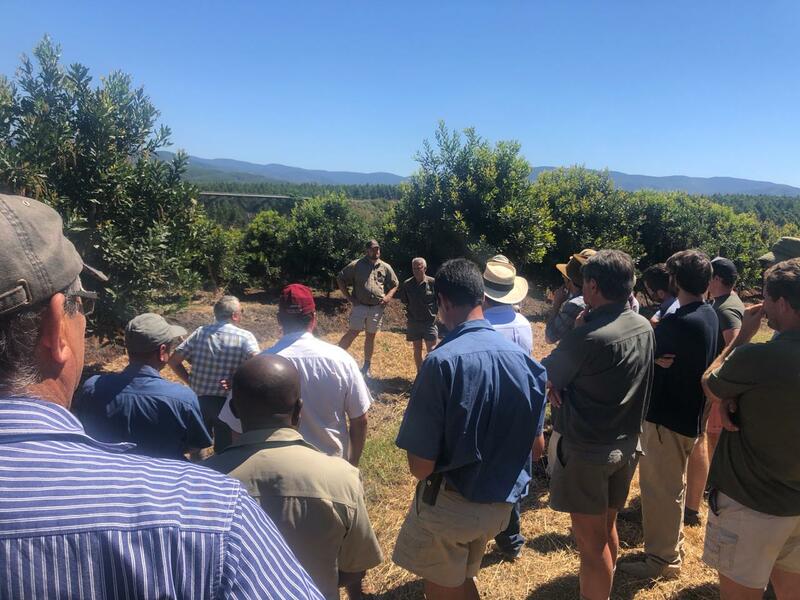 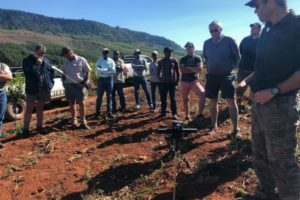 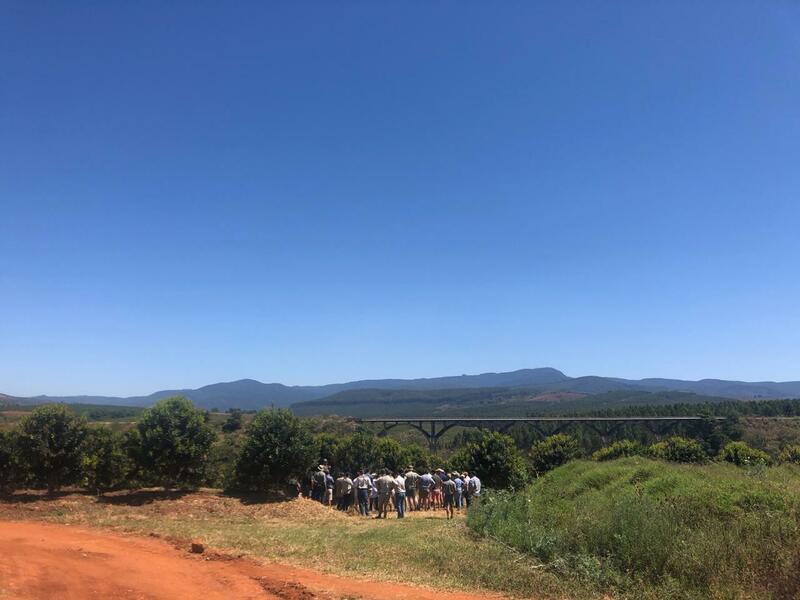 Philip Lee and Stephan Schoeman, two renowned and experienced Macadamia consultants were in attendance to share their knowledge of Macadamia tree Orchard management. 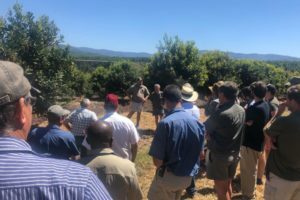 The workshop’s format was designed to encourage open discussions about orchard management. 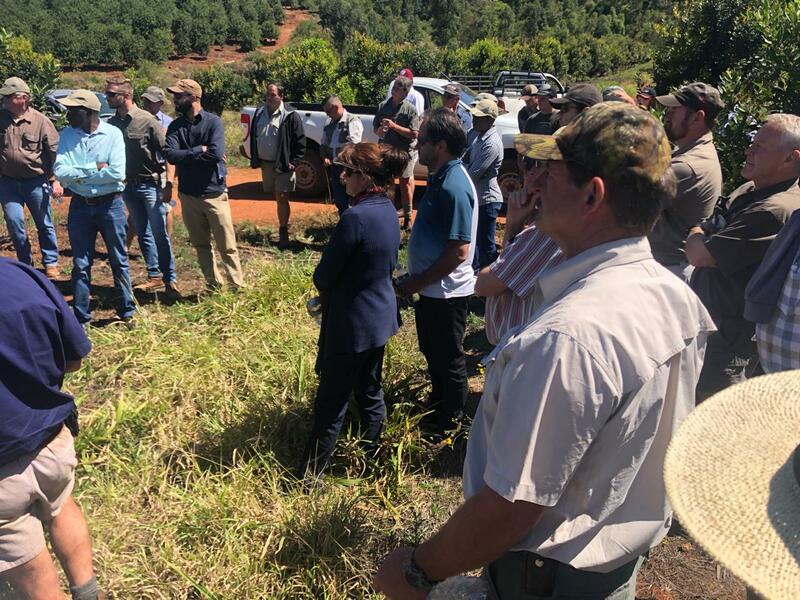 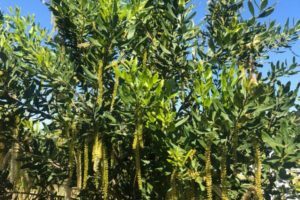 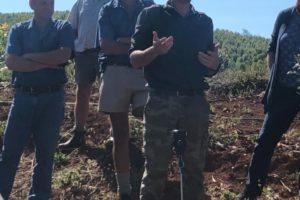 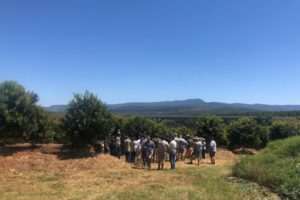 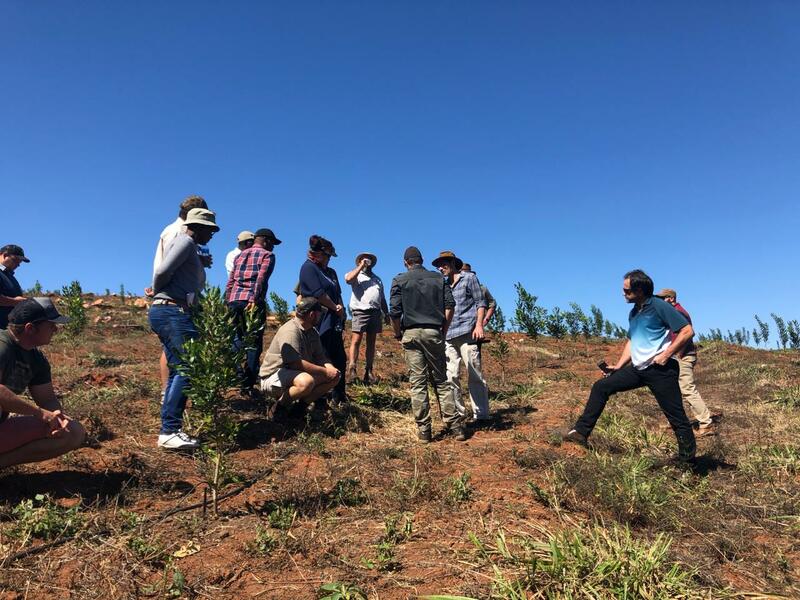 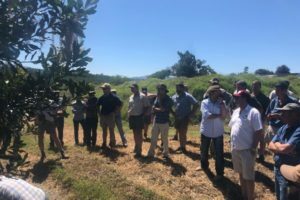 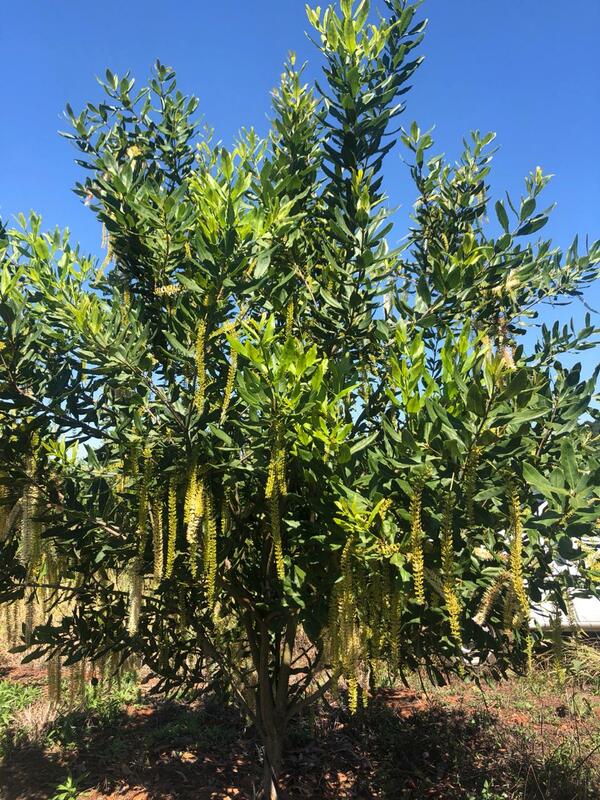 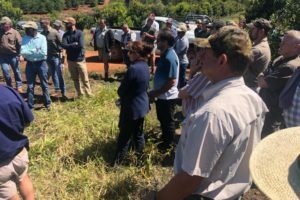 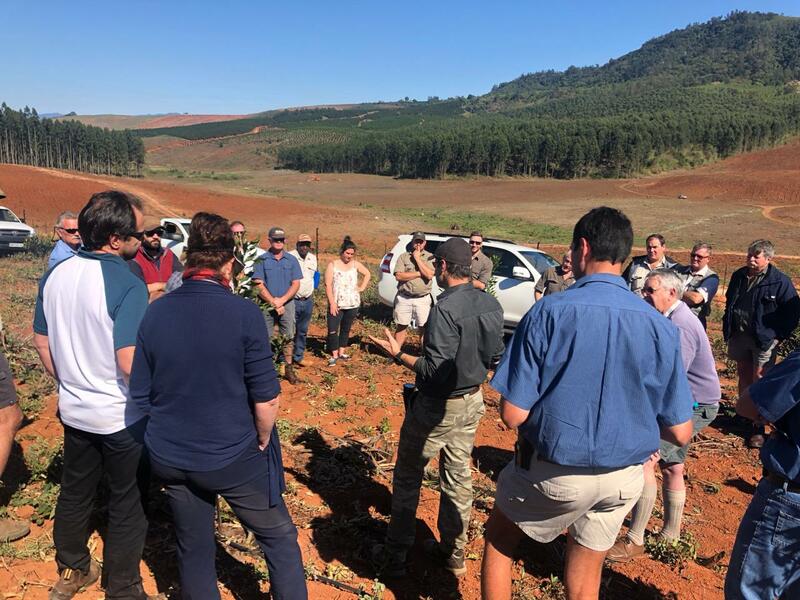 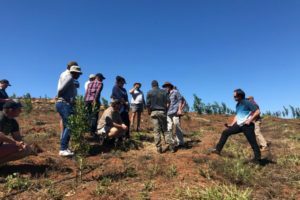 The farmers had the opportunity to visit a large, beautiful 10-month-old Beaumont orchard which had been planted with trees from Amorentia Macadamia Nursery – planting-out protocols and young tree management was discussed in great detail. 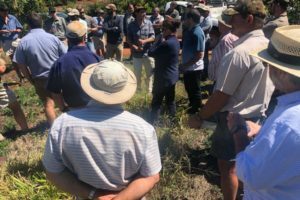 Some traditional and some more modern techniques were considered and debated, the consensus was that each grower should adopt methods that suit their management style. 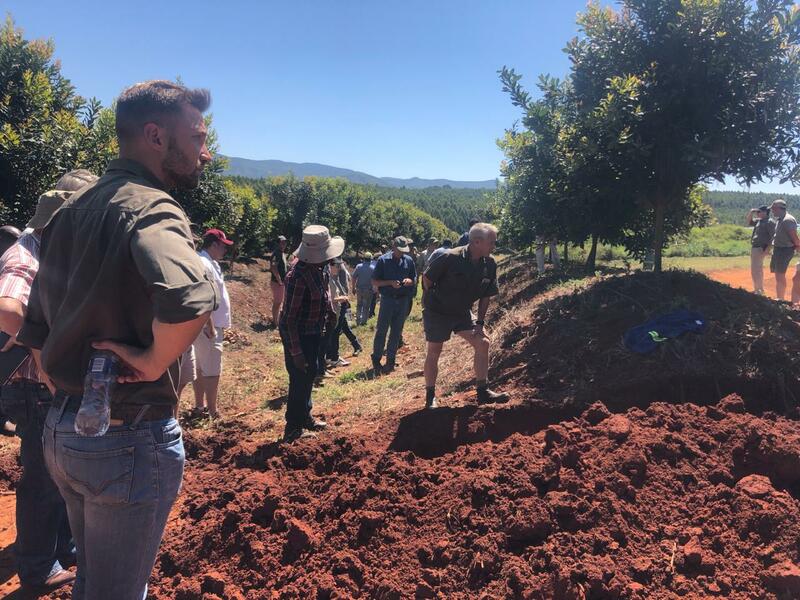 The next orchard was a 3-year-old A4 orchard, also with trees planted from Amorentia Macadamia Nursery. 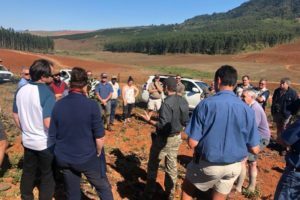 It was interesting to learn about A4 pruning techniques, and encouraging to see the trees in excellent condition and full of flower – an indication of good management practices by Chris and good nursery mother material. 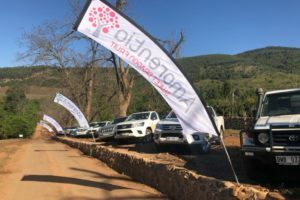 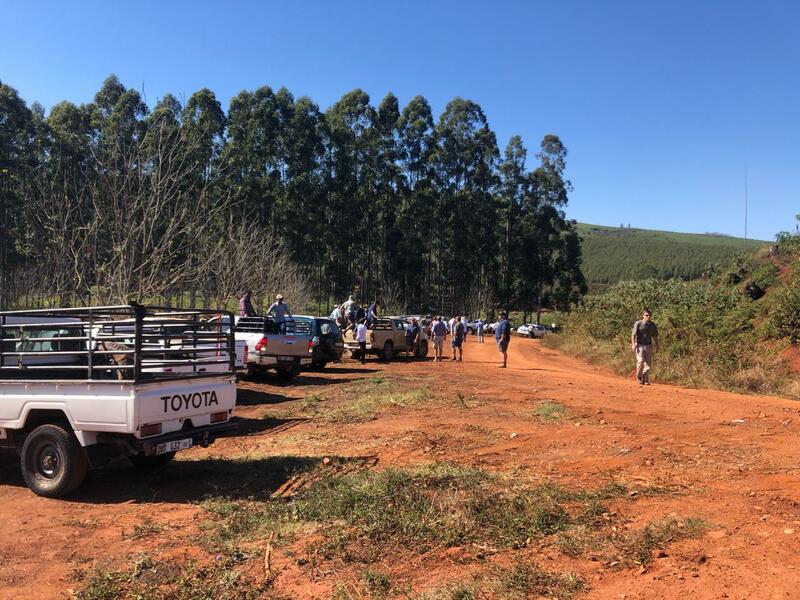 The procession of bakkies headed to Merensky High School where 4-year-old Amorentia Beaumont orchard on ridges were visited – the cost vs benefit of ridging macadamias was debated and the workshop attendees were lucky enough to witness a ridge dug in half for a closer look at the root development. 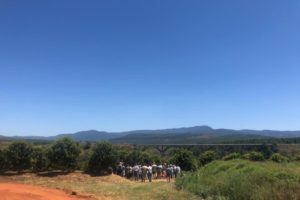 The 15-year-old Merensky trial block as also visited. Philip was involved in the planting and monitoring of the trial block, it was interesting to learn which cultivars outperformed the others. 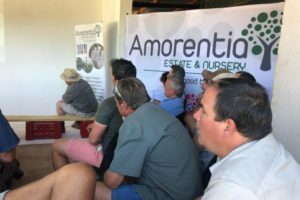 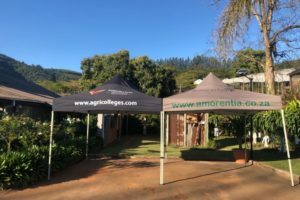 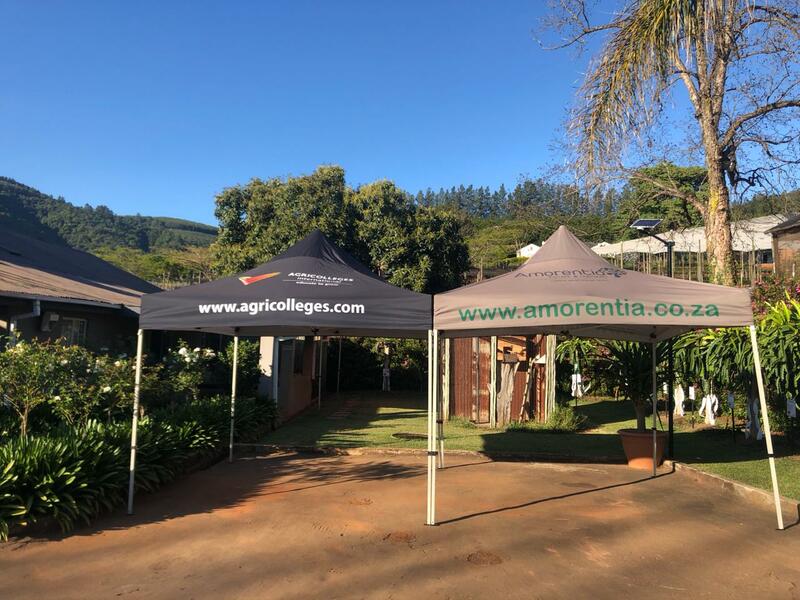 Lunch was served at the Amorentia Estate and Nursery offices were Graeme Whyte from Green Farm Nut Company addressed the growers and gave an update on the current international macadamia market – and the message was clear – plant more Macadamias! 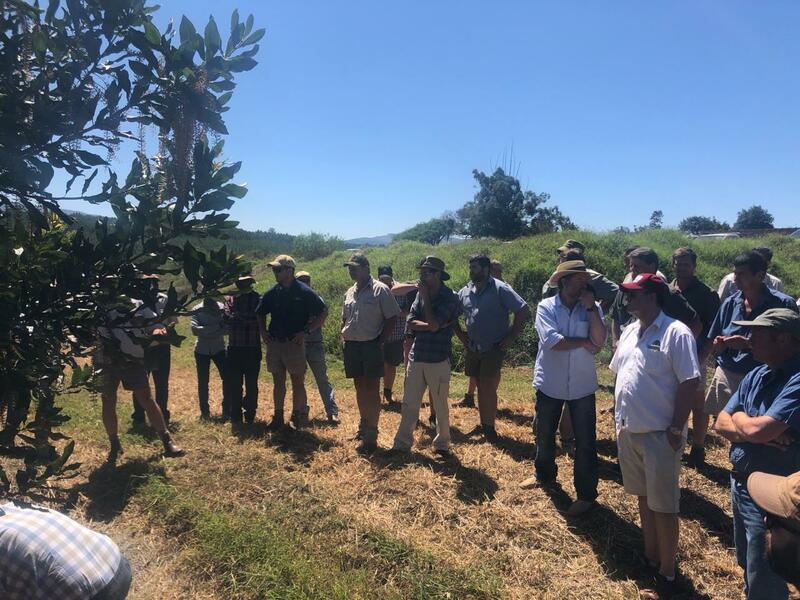 Finally, the growers were treated to a walk around Amorentia Macadamia Nursery with a final discussion on mature tree light management (pruning). 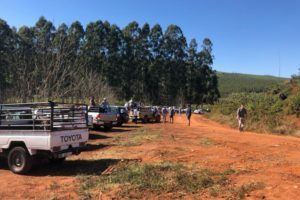 All the farmers found the day extremely helpful and informative which ended with a lekker South African Braai!